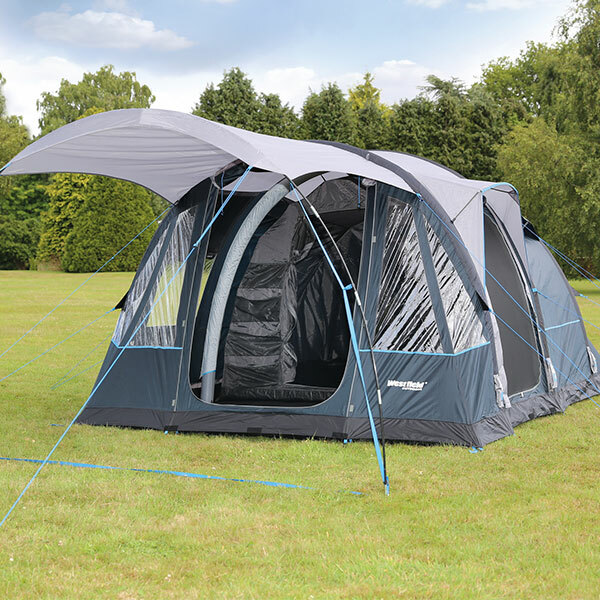 Quest Travel Smart Taurus 5 Air Tent is suitable for camping with the family or with friends the Taurus 5 is an incredibly easy to pitch air tent that feels spacious and offers ample of protection against the elements! 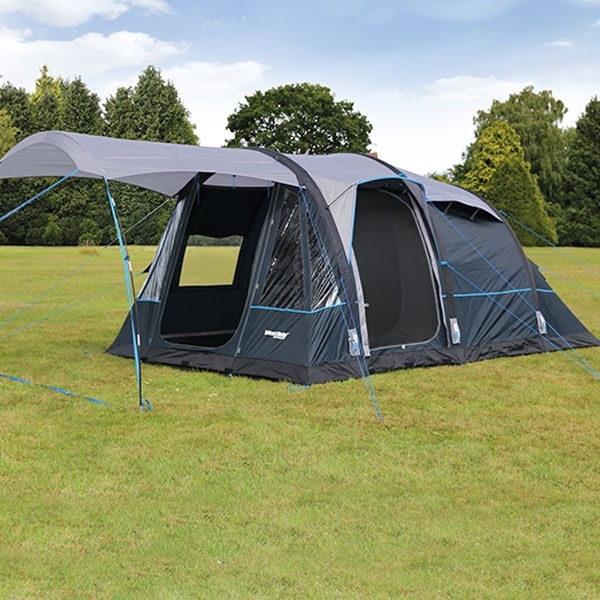 The Taurus is complete with a front canopy to extend your outdoor living space and provides an effective front shelter to protect the main entrance of your tent, or a suitable for to place to store your muddy shoes or wet clothes. The Taurus features a sleeping arrangement at towards the rear of the tent, leaving ample of space up front to keep your camping gear and equipment separate. 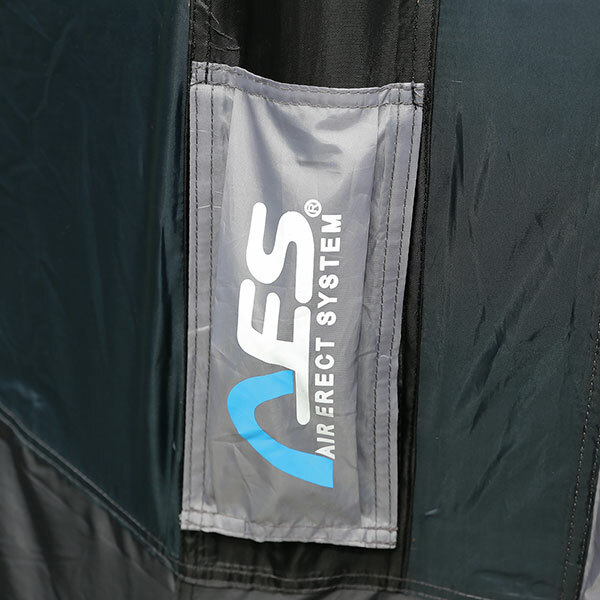 The clear view windows provide great view out and let in ample of light, On those sunny days the internal blinds provide effective sheltering from the sun’s rays, as well as providing privacy and helping to maintain a comfortable environment inside the tent. 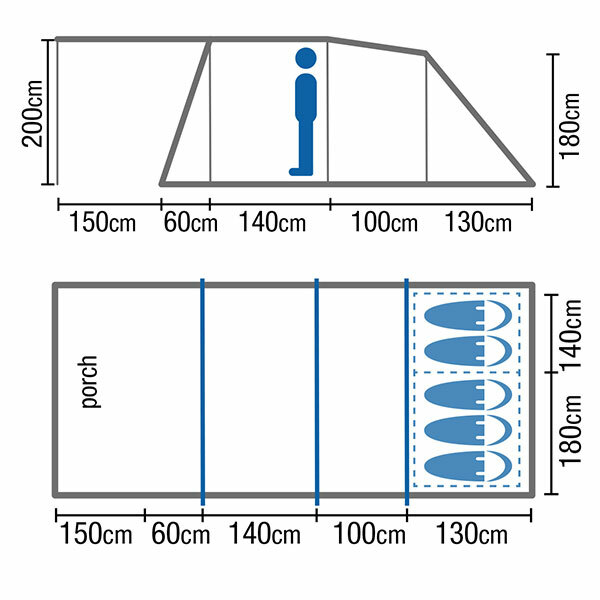 With side access provides an alternative entry and exit point and also saves walking though the porch area to access the inner tent compartment!